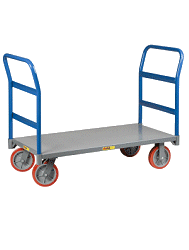 The Wesco Folding Platform Cart features a compact steel frame suitable to a variety of busy environments. 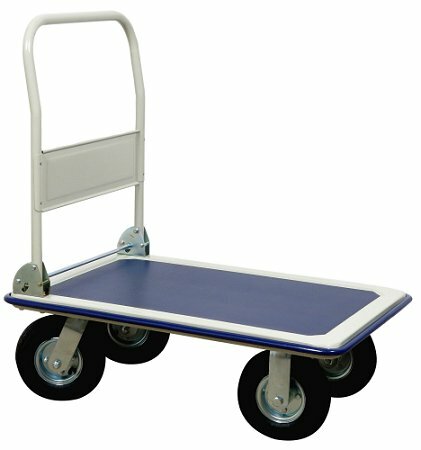 A spacious vinyl non-skid top and smooth large 8-inch pneumatic wheels eliminate the strain of carrying heavy loads. Vinyl bumpers along the edges offer great protection during transport. 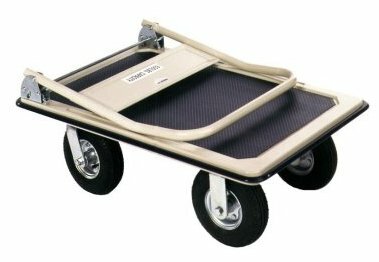 This Wesco Folding Platform Cart has a 660-pound weight capacity. Folds up compact for easy storage when not in use. Get your Wesco Folding Platform Cart today and get moving! Wesco Pneumatic Platform Truck Saves The Day! What a great platform truck. We were moving from one apartment to another in NYC and bought the platform truck to help us with some of the smaller stuff. It has been worth more than the $$$ spent for it. Now it will be used as our utility wagon for large Costco purchases. We should enjoy it for years to come!